我們沒有看到燈光，但總的來說這是一個很好的旅行。有一個很好的篝火燒烤香腸，我們開車到2個地方趕上燈！ We didnt get to see the lights but overall it was a good tour. Had a nice camp fire to grill sausages and we drove to 2 locations to catch the lights! 阿達是我們的嚮導，她很棒！她不僅與我們分享了北極光，還更多地談到了芬蘭人的生活。我們看到了北極光的一點點（因為雲層正在清理，如果我們再呆一會兒可能會看到更多！）我們還烤香腸並試著開火。整個體驗很棒，穿過森林到湖邊徒步旅行（我們等著看燈光）。 Ada was our guide and she was great! 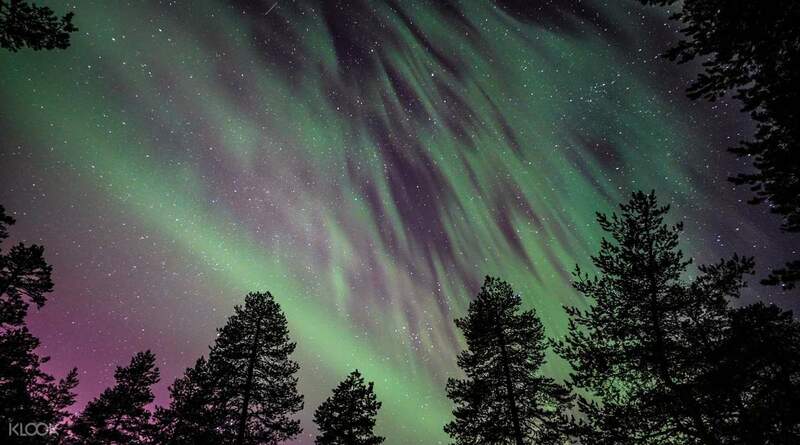 She shares with us not only about the northern lights, but also more about the Finnish lives. We saw a little bit of the northern lights (as the clouds were clearing up, probably can see more if we stayed a little longer!) we also grilled sausages and tried on starting a fire. Whole experience was great, trekking through the forest to the lake (where we wait to see the lights). 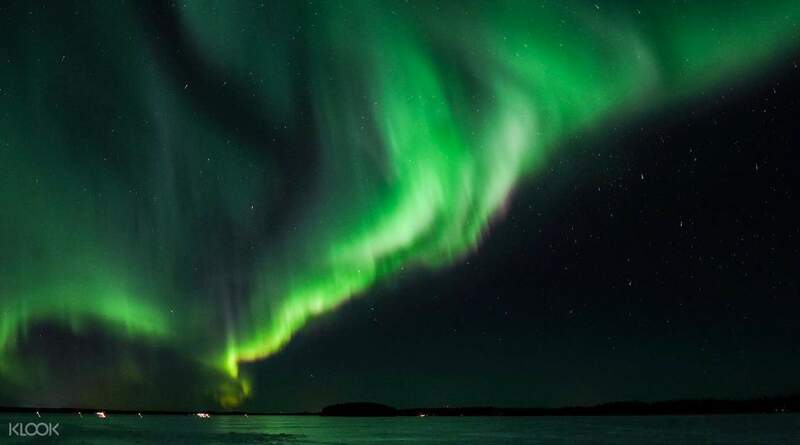 我很高興這次旅行。雖然我們只能看到北極光的微弱景象，但WildaboutLapland（組織者）試圖讓這次旅行令人難忘。我們被帶到一個需要步行10分鐘的湖泊。一旦我們到達那裡，明星，寧靜就是驚人的。我們最初預訂了一個星期六，但由於惡劣的天氣降低了捕捉北極光的機會，Wildaboutlapland提議推遲。我覺得這很體貼。壁爐，燒烤香腸和熱巧克力是在美味的聖代冰淇淋上添加的爽快和糖霜。 I am very happy with this trip. Although we only caught a very faint sight of the northern light, WildaboutLapland (the organizer) tried to make the trip memorable. We were taken to a lake requiring 10 minute walk from the car. Once we got there, the star, the tranquility were just amazing. 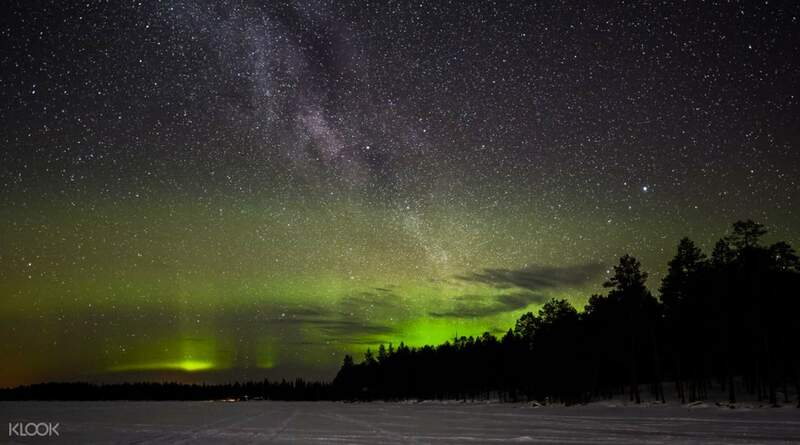 We originally booked for a Saturday but due to bad weather which lowers the chance of catching the northern light, Wildaboutlapland offered to postpone. I think this is very considerate. The fire place, the BBQ sausage and the hot chocolate are the cheery and icing sugar added on top of a delicious sundae. 我們讓西奧成為我們的嚮導，他在幫助我們裝備時非常出色，在前往現場時解釋了拉普蘭。他幫助設置了火，確保每個人都很溫暖，並幫助我們拍照。這是一個很好的經驗。 We got Theo as our guide and he was amazing at helping us to gear up, explaining Lapland while heading to the site. He helped setup the fire to Make Sure everyone was warm and helped us take photos too. It was a great experience. 阿達是一位友好而樂於助人的導遊！雖然那天晚上我們沒有看到北極光，但我們從阿達那裡學到了很多關於芬蘭大自然的知識，我們在膝蓋深雪的冰凍湖面上行走，還學會了在等待燈光的同時用火石開火。在芬蘭大自然中度過了一個愉快的夜晚！ Ada was a friendly and helpful guide! 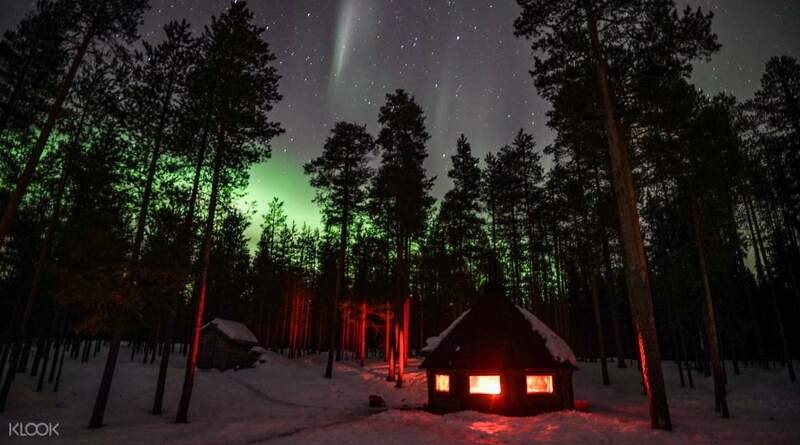 Even though we did not see the Northern Lights that night, we learned a lot about the Finnish nature from Ada, we got to walk on a frozen lake in knee deep snow and also learned how to start a fire with flint while waiting for the lights. It was an enjoyable night out in the Finnish nature! 總的來說，這是一個很棒的體驗！極光北極光太棒了！ Overall, it was a great experience! The Aurora Borealis is so amazing! 否定：在實際巡迴演出期間，我們所有8個人都認為他在計劃結束之前計算了幾分鐘。極光出現在晚上10點左右，因為他急於回來，他每對夫婦只拍了1張照片。旅行團沒有機會拍攝更多照片，更重要的是，感受到體驗，更多地欣賞場景，這與他所宣傳的內容相矛盾。我們期望“追逐”極光或尋找更好的景點，但我們只是去了一個。參觀結束後，我們所有人（客戶）都同意，我們希望能夠更多地感受體驗，延長快樂和享受，因為這就是我們所有人都去過的地方！然而，Theo過早收拾行囊，希望我們所有人都回去。這非常令人失望。對於您支付的價格（每人約130美元），您可以通過導遊更好的服務獲得同樣精確體驗的另一種旅遊方式（50美元）。積極因素：旅行的主人西奧非常隨和，易於接觸。我們決定改變我們的旅行日期，因為當晚有一個糟糕的預測。他同意預測很差，因此同意將日期更改為第二天。在巡演期間，他還專注於我們的安全和推薦厚衣服。 Negative: During the actual tour itself, all 8 of us felt that he was counting the minutes before the tour finishes. The Aurora appeared around past 10pm, and because he was in a rush in getting back, he just took 1 picture per couple. There was no chance for the tour group to take more pictures and more importantly, feel the experience and appreciate the scene more, which contradicts to what he was promoting. We expected to "chase" the Aurora or find better spots but we just went to one. After the tour, all of us (the customers) agreed that we wanted to stay a bit more to feel the experience, prolong the happiness and enjoyment since that is what all of us went there for! However, Theo packed up prematurely and wanted all of us to go back already. This is quite disappointing. For the price that you pay (around $130 per person), you can get another tour way cheaper ($50) for the same exact experience with better service by the tour guide. Positive: Theo, the owner of the tour, was very accommodating and easily contactable. We decided to change the date of our tour since there was a bad forecast that night. He agreed that forecast was poor so agreed to change date to the next day. During the tour, he was also focused on our safety and recommended thick clothes. 感謝您選擇Klook並花時間給我們留下評論！我們很遺憾聽到您遇到的不便。請放心，這不是Klook提供或允許我們當地運營商提供的服務類型。我們一定會向產品經理和當地運營商提出此事，以改善並為所有客戶提供優質服務。再次感謝您花費大量時間給我們留下評論。 Thank you for choosing Klook and taking time to leave us a review! We are very sorry to hear about the inconvenience you experienced. Rest assured, this is not the type of service which Klook offers or permits our local operator to provide. We will surely raise this matter to the product manager and local operator to improve and provide an excellent service to all our customers. Thank you once again for your valuable time spent in leaving us a review.